Madame Speaker, there has been a lot of buzz in the Territory over the last few days about my Government’s decision through the Cabinet of the Virgin Islands to grant to nationals of the People’s Republic of China (PRC), access to enter and remain in the Virgin Islands as tourists or for business related matters, without the need for a visa. These visitors will be treated like all other visitors to the territory – being subject to the immigration, passport, customs and any other border control regulations of the Virgin Islands. Madame Speaker, my Government strives at all time to make decisions that are in the best interest of the people and the development of this economy. We do this because we are committed to advancing the development of the BVI so that the residents of this Territory can enjoy good health, a high quality of life and personal fulfilment. This is the life we have created for ourselves and have grown accustomed to. Madame Speaker, since 2012 my Government has been closely looking at the trends where the Asian region has been experiencing rapid economic growth during the last decade; its outbound tourist market correspondingly increasing. Since the British Virgin Islands already had a substantial international business engagement with the Asia region, exploring the tourism market was a natural transition. As a result, Madame Speaker, we have been moving to expand our tourism market to the Asia region, and at the same time maintaining the BVI’s position as the leading offshore jurisdiction in the Asia Pacific region. So for instance while in Hangzhou, China a couple of weeks ago we took the opportunity to visit the shipyard that makes the Marine Max Yachts that make up the fleet of Marine Max BVI, now operating out of Nanny Cay. We were very pleased with what we saw and more so that at least two brand new yachts will be in the BVI in a matter of a couple of months. In 2012, as part of widening our market, the BVI lifted some of its restrictions for Taiwan’s passport holders where visas would no longer be required for those who wished to visit the BVI for less than six months as tourists, family visitors, business travelers and student visitors. This policy excludes ‘work’ as a reason to enter and remain in the Territory. This policy was initiated to streamline entry, facilitate visitors and facilitate economic growth for the Territory. Madame Speaker, according to the Capital Economics report Creating Value: The BVI’s Global Contribution, 35 percent of active BVI Business Companies are owned by beneficial owners in China. This means, Madame Speaker, that Chinese business travelers also visit the BVI for matters related to their BVI domiciled companies, including litigation in the BVI courts. 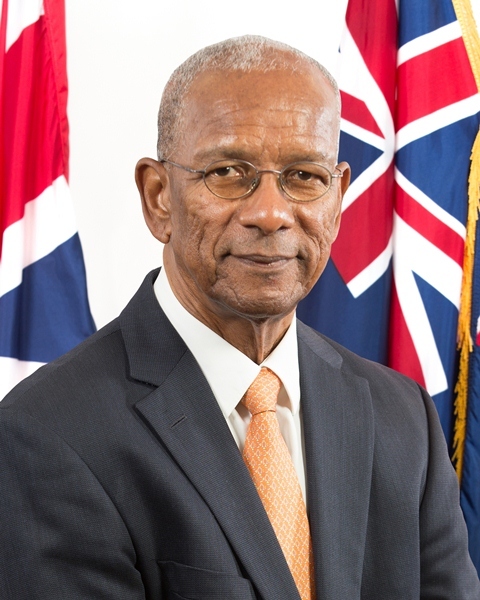 Visa-free access would not only enhance the business traveler’s experience in the Territory, but it would also help in attracting new clients and ease their access in using other facilities such as the BVI’s International Arbitration Centre for alternative dispute resolution. Madame Speaker, in August of 2016, the BVI submitted an application to the People’s Republic of China (PRC) to receive Approved Destination Status. Approved Destination Status (ADS) designates permission from the PRC Government to countries to promote their tourism in the Chinese market and to further allow Chinese nationals and tour groups to visit these destinations for tourism purposes. Once an application is approved, the countries sign an agreement, negotiate the details of operating and monitoring the tourist groups and agree on an implementation date. Madame Speaker, countries without an ADS agreement are not allowed to receive tourist groups from China or to promote their destination in China for tourism and are restricted to business and official travel groups only. More than 146 different countries and territories have therefore signed an ADS tourism agreement with the Chinese government, and over 127 countries actively engage in tourism promotion in China. All EU member states, including the United Kingdom (which was the last EU member state to sign), are included in the ADS agreement concluded in 2004. Madame Speaker, China is now the largest tourism source market in the world and, according to the World Tourism Organisation and the CNTA, just last year Mainland Chinese made120 million trips overseas and spent US $215 billion on their holidays travels. Already, many of our competing Caribbean destinations, including Cuba, Bahamas and Jamaica, are capitalising on this phenomenon and have gone full out to become attractive for Chinese tourists, including offering visa-free access. Madame Speaker, noting the enormous investment that the BVI has made in improving cruise tourism infrastructure, creating access to the Chinese tourist market would provide vast growth potential for BVI’s tourism. Madame Speaker, you would recall in 2016, I led a delegation on a historic BVI Asian Trade Mission to further build and strengthen the relationship between ourselves and Hong Kong, Beijing, Tianjin, Shanghai, and Hangzhou. That initial trip was historic for it would be the first time that we were covering four provinces in Mainland China in one mission. A few weeks ago we embarked on a similar mission, but included Singapore in Asia, instead of Tianjin in China. We continue to demonstrate that my Government has always been thinking beyond the curve, and is continually thinking about the future of this Territory, our path to prosperity and how our people in the end would reap the valuable benefits. We are now looking at opportunities to developing a stronger economy building upon the twin pillars of tourism and financial services. We are intentionally increasing our footprint in the world, especially in this crucial time where we are making every effort to Build BVI Stronger, Smarter, Greener, Better. We will continue to enhance our international relationships. It is critical now more than ever for us a Territory to find creative ways of expanding our tourism and financial services not just in the Asia region, but the world.